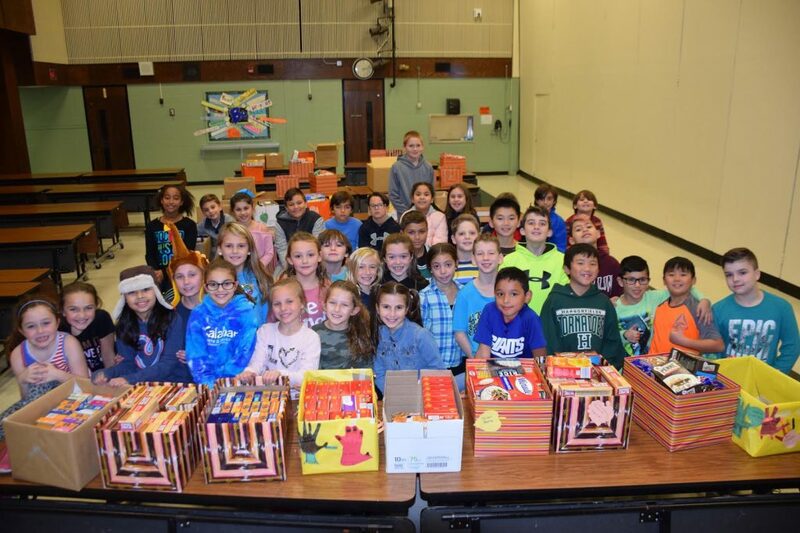 Fourth-graders at Thomas J. Lahey in the Harborfields Central School District worked together to sort and box nonperishable food items in record time on Nov. 15. 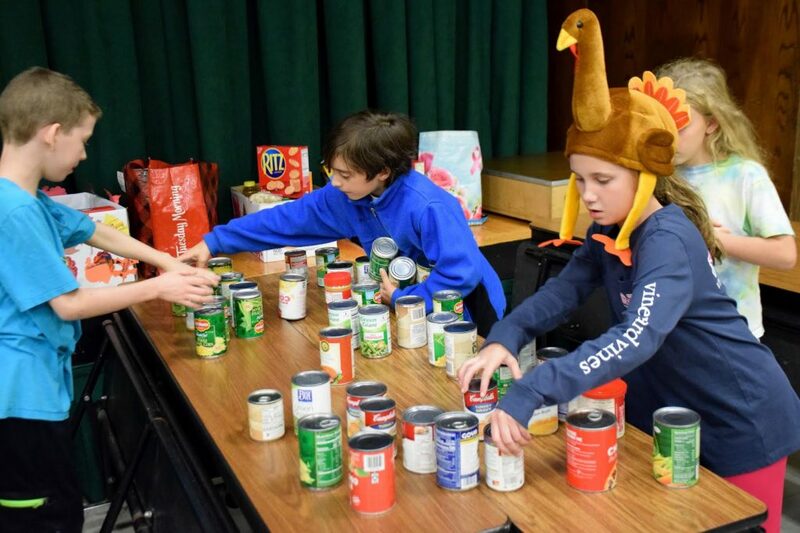 A schoolwide drive, in partnership with the Harborfields Alliance for Community Outreach (HACO), was held during the weeks leading up to Thanksgiving to collect food items for families in need, a generous amount of donations were made. 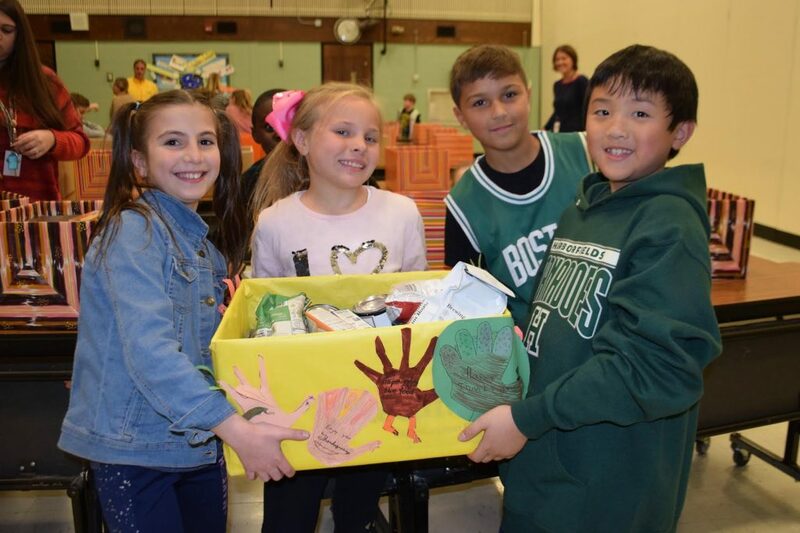 Students broke into groups and packed each box full of the same items, which would enable an assembly-like creation of baskets that had one of each item for each family. Additionally, students taped handwritten holiday messages, such as “Have a great Thanksgiving!” and “Hope you enjoy the food!” to each box. Nearly 30 boxes were packed in under a half hour, and the students were proud of how quickly they worked together. Fourth-graders Olivia, Kendall, Ethan, and Donovan worked together to pack boxes of food for those in need on Nov. 15. Students broke into groups and packed each box full of the same item, which would enable an assembly-like creation of baskets that had one of each item for each family. 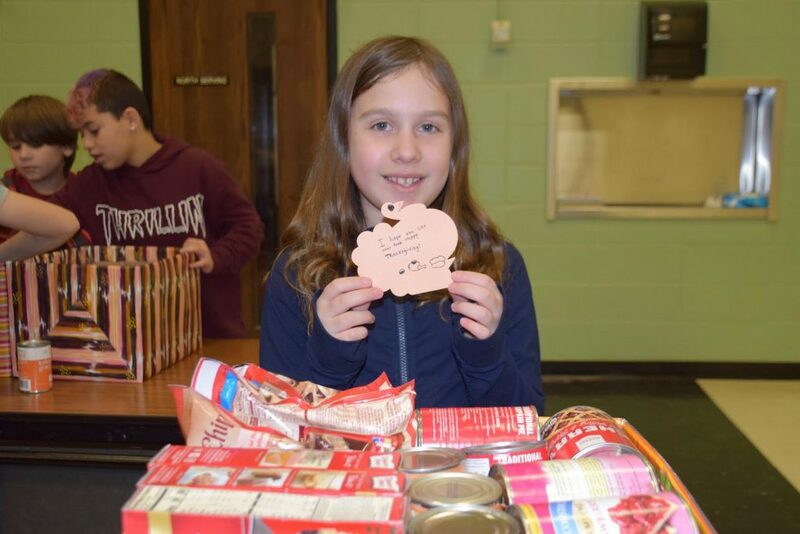 Fourth graders at TJL worked together to sort and box nonperishable food items on Nov. 15. Students taped hand-written holiday messages, like “Have a great Thanksgiving!” and “Hope you enjoy the food!” to each box of donated food.